I met up with my friend, Erica, last weekend, and we had a quick evening photo shoot for sweet Hadley's first birthday coming up soon! 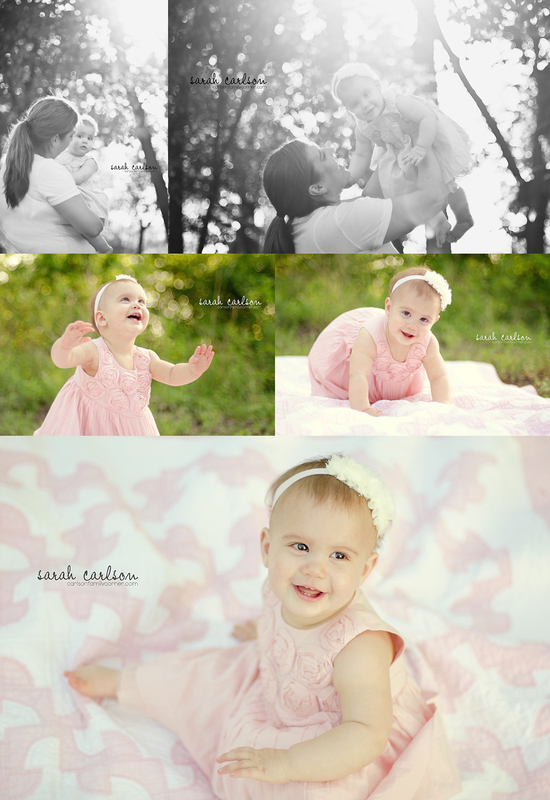 This session was so much fun; while Hadley has taken her first steps, she's not a full-fledged walker yet, so she was content to just sit on the chair and smile! Her big, sparkly brown eyes were neat to capture. I'm so used to the blue eyes of my girls! Happy first birthday (soon), Hadley!